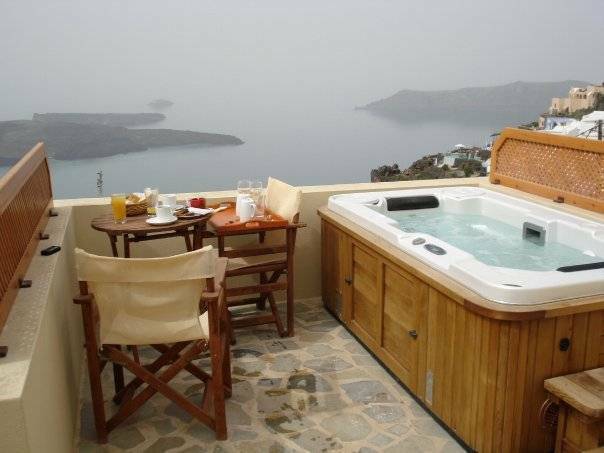 Shine Hotel is a romantic small family-run luxury hotel located at the picturesque village of Imerovigli in Santorini island on the highest spot of the Caldera facing a breathtaking view of the famous volcano, the sunset, and the Aegean sea. Our luxury rooms in Shine Hotel providing a private Jacuzzi - Spa as well as a Satellite TV, air conditioning, refrigerator, room service, internet and Wireless access adsl (4096 MB) free of charge, etc. Near the Shine Hotel you can find taverns, restaurants, bus stop, souvenir shops, super markets, free parking outside hotel entrance, among others. 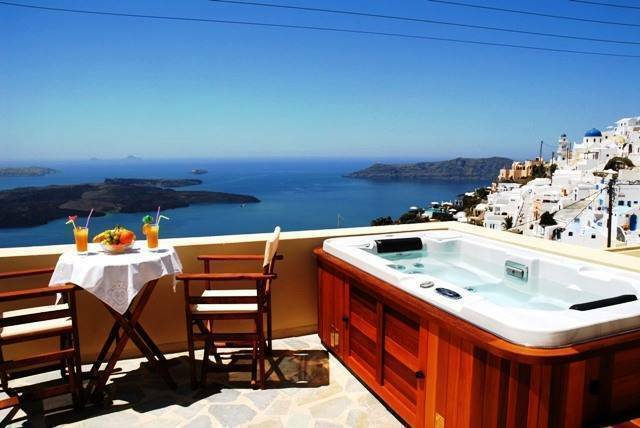 Spend your day on your balcony and enjoy the panoramic view and peacefulness of the scenery. Take a 15 minute walk along the path at the edge of the cliff to the capital city Fira, or 15 minutes drive to the well known sand beaches of Santorini and enjoy the Greek sun and sea. 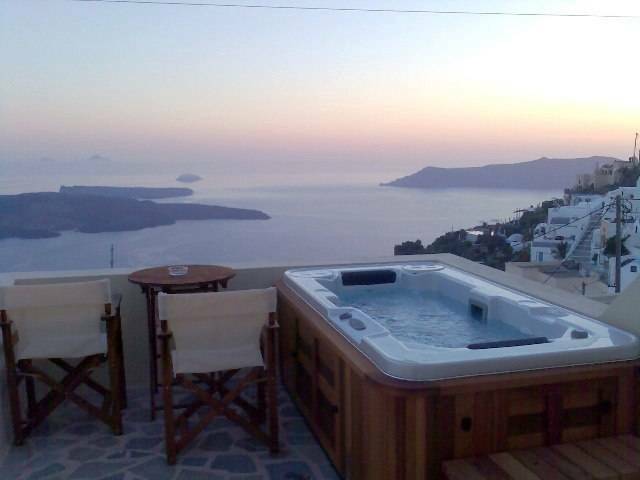 Also take a 10 minutes drive to the village of Oia, to enjoy the most famous sunset of the world. We will guide you to find the restaurants of your style, night clubs, beaches and beach bars. 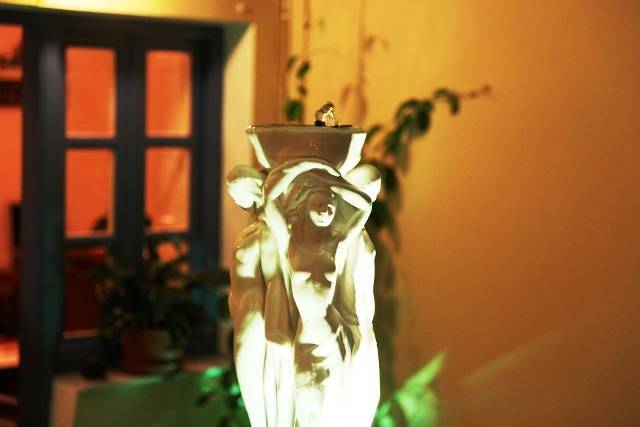 Visit the antiquities, or join a wine tasting tour to experience the local wine... One thing is certain. 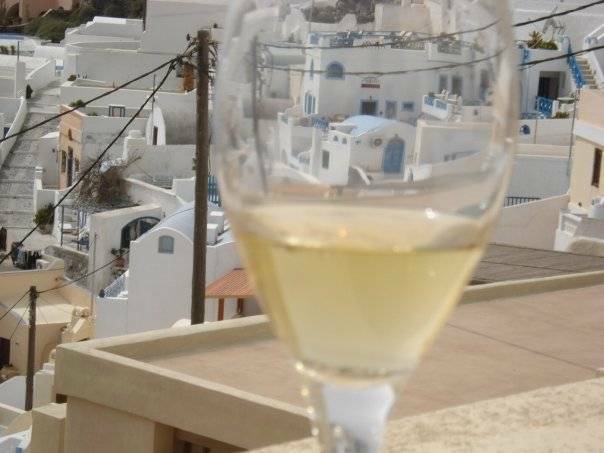 There is always something new and exciting to experience in Santorini. **FOR MORE INFO AND SPECIAL OFFERS PLEASE VISIT OUR WEB SITE. FOR MORE INFO PLEASE VISIT OUR WEB SITE. DOUBLE ROOM VOLCANO VIEW (These rooms have a private outdoor heating jacuzzi on the balcony and panoramic view) DOUBLE ROOM VILLAGE VIEW (These rooms have view to the village ) DOUBLE ROOM (These rooms are semi-basement no view) **FOR MORE INFO AND SPECIAL OFFERS PLEASE VISIT OUR WEB SITE. If cancelled or modified later, 50% percent of all nights will be charged. In case of no-show, or early departures are subject to a cancellation fee of 100% of the total booking cost. Taxi, local bus or pre-arranged transfer. 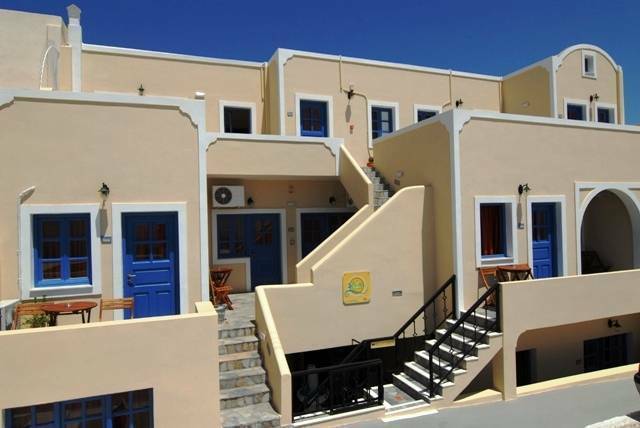 Nearest airport: **FOR MORE INFO AND SPECIAL OFFERS PLEASE VISIT OUR WEB SITE.